While it is feared that IT jobs are being lost to robots, Y S Chowdary says that the country lacks skilled personnel in the fields of Data Analytics and Artificial Intelligence. AT A time when the country’s Information Technology industry is forced to carry out mass layoffs, experts argue that Artificial Intelligence (AI) and Data Science sectors offer a glimmer of hope. 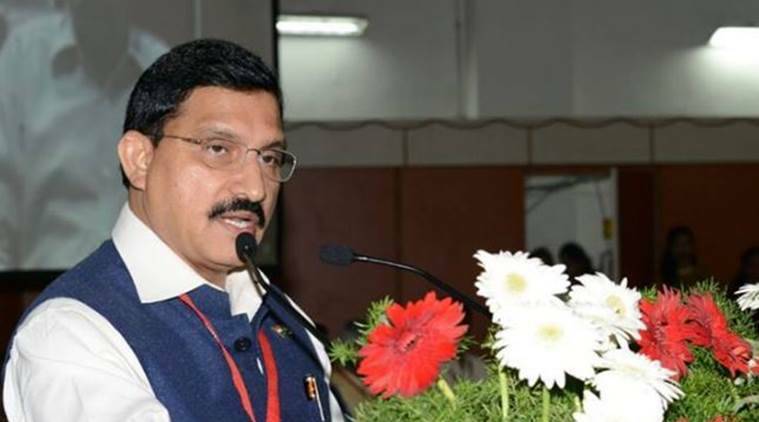 While it is feared that IT jobs are being lost to robots, Y S Chowdary, Minister of State for Science & Technology, told The Indian Express that the country lacks skilled personnel in the fields of Data Analytics and Artificial Intelligence. “Softwares are evolving and we need new kinds of skills. There is a huge demand-supply gap in data analytics field,” said Chowdary. “Majority of government missions is based on historical data. However, today there is data available even from the unorganised population. We need to concentrate on capacity building to analyse this data to better our governance,” said Chowdary, who was the chief guest at a Data Science Congress held in the city earlier this month. According to Chowdary, around 1.5 million jobs in cyber security alone will be created across the country. Incidentally, the congress that was held to engage stakeholders in the fields hinted at the possibility of Data Science and AI becoming the next big IT boom. Bhupesh Daheria, CEO of Aegis School of Data Science (ASDS), said, “India needs to be prepared when this happens. These streams need to be considered as formal disciplines to be taught in professional institutes. As India has the largest pool of people with math and coding skills, we can become world’s largest hub for skills for Data Science, Machine Learning, AI and Deep learning” said Daheria. “The curriculum is already available in the world. Institutes need to adopt the new techniques and make students ready for the next big IT revolution,” said Usama Fayyad, president of Open Insights, a US-based data analytics firm. Shivaram Kalyanakrishnan, who is in charge of a compulsory course on AI at the Indian Institute of Technology, Bombay, agreed. “We need more quality and quantity in our higher education system. The IT industry, say 10-15 years back, was lapping up students graduating from engineering colleges. Unfortunately that same level of skill will not suffice to contribute effectively to AI-based projects. Students will need a strong background in computer science as well as allied topics such as probability, statistics, and optimisation. It will really help to have strong graduate programmes that can impart our students these skills,” said Kalyanakrishnan. The AI course at IIT Bombay was introduced five years ago and around 500 students have been trained so far. Kalyanakrishnan said the opportunities in the AI field were vast, especially with the success of start-ups offering AI-based solutions. “AI-based solutions can reach sections of society that have otherwise been denied due to geographical, social, or economic reasons. The availability and penetration of smart phones have particularly opened up viable avenues…,” he said.